There’s also a song with The Weeknd. 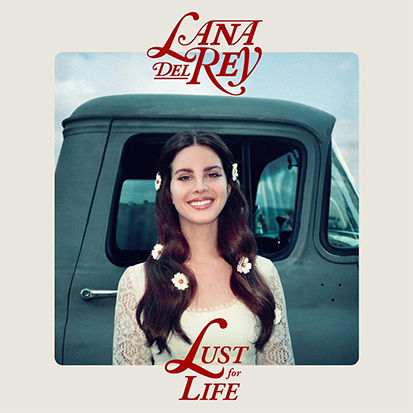 “He is actually on the title track of the record, ‘Lust for Life’. Maybe that’s kind of weird to have a feature on the title track, but I really love that song and we had said for a while that we were gonna do something; I did stuff on his last two records,” Lana confides. This is where it gets really interesting. Max Martin helped perfect the song. “I felt like it was a big song but… it wasn’t right.” So she flew to Sweden to play it for pop’s human hit-machine. Perhaps the most interesting tidbit for me was Lana acknowledging her 2008 debut LP, Lana Del Ray a.k.a. Lizzy Grant. “I got a contract with this indie label called 5 Points Records in 2007,” she says. “They gave me $10,000 and I found this trailer in New Jersey, across the Hudson – Bergen Light Rail. So, I moved there, I finished school and I made that record, which was shelved for two and a half years, and then came out for, like, three months. But I was proud of myself. I felt like I had arrived, in my own way.” read the full interview here. Are you even more excited for Lana’s new album now? Let us know below, or by hitting us up on Facebook and Twitter!